Valley Roofing Installs Your Metal Roof in Virginia. Contact us! A Metal Roof is Beautifully Durable. You are here: Home / News / Roofing / A Metal Roof is Beautifully Durable. A Metal Roof Is Charming, Beautiful, And Long Lasting. 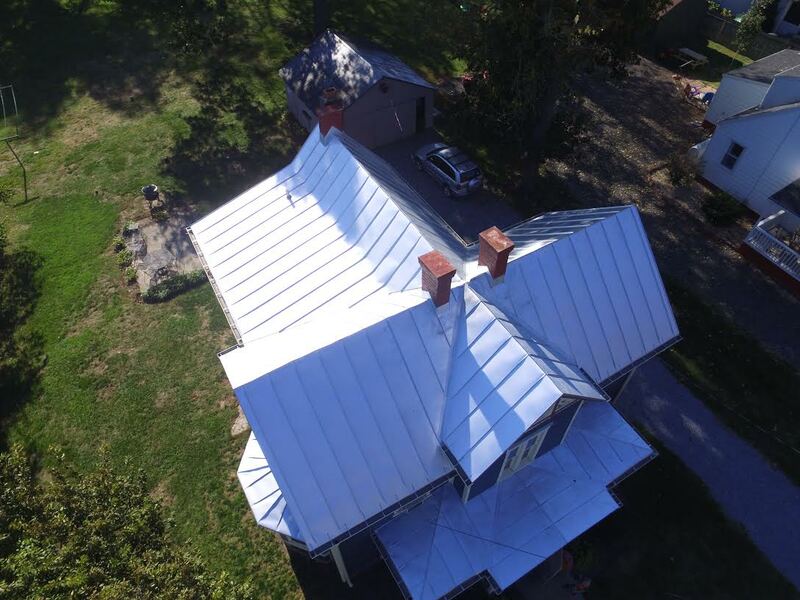 When you’re considering a metal roof for your home, you’re considering an option that meets almost every roofing expectation of the average customer. You’re choosing an option with character, durability, and beauty. At Valley Roofing, we think you can’t go wrong with a metal roof because it increases the value of your home and is a sound investment. What Can I Expect From A Metal Roof? Long Lasting Durability: If properly maintained, metal roofs can last up to 100 years. Metal roofing is resistant to rotting, insects, and fire. While they are often more expensive than a traditional asphalt shingle roof, their longevity justifies the cost. Vibrant Colors: While a black metal roof is timeless, consider a fun, vibrant color for your metal roof. Reds and greens are equally appropriate and reminiscent of Virginia farmhouses. Energy Saver: Metal roofing reflects heat from the sun and can save money on your energy bills. Warranties: Metal roofing has one of the best warranties in the business. It’s a strong, durable option that has proven itself to be long lasting. Valley Roofing Is A Premier Installer of Metal Roofing in Virginia. Valley Roofing has an experienced and skilled team ready to remove your existing roof and install a metal roof. We ensure your home is ready for it’s new roof, replacing any flashing and fixing brickwork, if necessary. When you choose professional installation, you’re ensuring your investment will last. Are You Ready for A Metal Roof? Gutter Cleaning Protects Your Home’s Foundation. Get Ready for Winter with A Roof Inspection.